Shapist by Ori Takemura and Dmitry Kurilchenko succeeds in bringing new life to the classic genre of sliding block puzzles, by providing challenging puzzles and novel mechanics. Unfortunately, the touch interface falls short of the quality one expects from an iPad app. 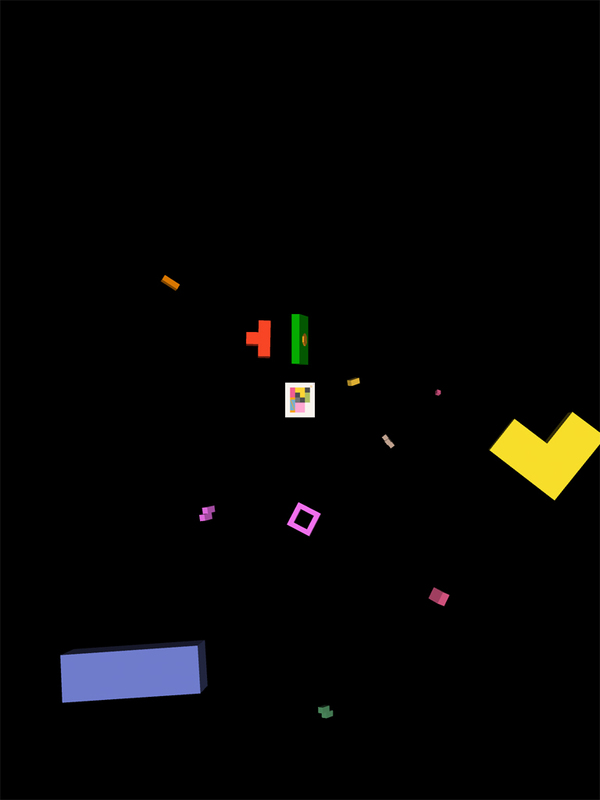 The game features an unusually minimalist interface, having no title screen, no menus, no instructions. On startup, you just zoom in on the current puzzle and start playing. Chess Light's elegant icon caught my eye while I was browsing the new releases. When I saw that it was developed by Pyrosphere, the makers of the excellent Lazors, I immediately bought it. I'm a freak for games with elegant user interfaces. I loved Bézier, which looks like a physics textbook, but Chess Light might be even better. Everything from the font to the subtle color palette makes you think of a serious chess book. Sushi Snake by Benjamin Davis is a very original path finding game, featuring complex mechanics, small but challenging puzzles, and retro graphics that make my eyes hurt. You control a snake, or more precisely a "sushi" snake. Don't ask, it's a long story. People who follow me on Twitter had already seen the heads-up about Threes!, the latest puzzle game by Sirvo LLC. I wasn't the only one to notice this game, since it quickly climbed to #1 in the App Store charts, proving to be a perfect casual game. But is it also a good game for readers of this blog?